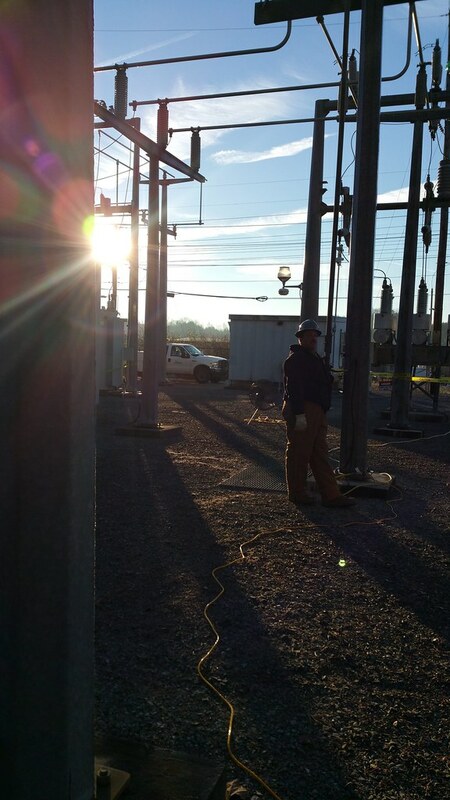 The purpose of this page is to provide some basic information on how signals work in the City of Oak Ridge, Tennessee. If you have further questions, feel free to e-mail them to the Department. View our commonly asked questions. Years ago, traffic signals were controlled by a simple electric clock. These clocks allocated a specific amount of time to each traffic direction, in a specific pattern. The problems with this arrangement are obvious under today’s heavy traffic conditions. The clocks left no room to adjust for peak traffic periods, or unusual conditions. The next step was to create a clock that operated differently at different times of the day. Still largely mechanical, these devices can still be found in use in some locations. They may have several different patterns for different times of day. As electronics have influenced everything, so have they changed traffic control. Today, the traffic signal controller is a device that monitors traffic in several directions, and adjusts the signal timing and sequence based on that traffic. Before going further, the term “phase” must be defined. When used in traffic control terminology, a phase is a direction of traffic flow that is controlled differently from all other directions. At a simple intersection, with no left turn signals, there might only be two phases: one for Main Street and one for Elm. As the intersection progresses, more phases are added. If Main Street has left turns, a phase may be allocated to the turning movements. The total number of phases is now 3. If, however, the designer wishes the left turn signals to be able to operate independently, that is North bound traffic on Main could get a turn arrow, while South bound did not, a separate phase is required for each turn movement. This would bring the number of phases to 4. In a fully actuated and complicated intersection, the number of phases can reach 16. The intersection shown uses 12 phases. These phases include the walk signals. Walk signals must, of course, also be coordinated with the traffic signals. The situation can become even more complicated if several signals are coordinated. A brief explanation of coordination is provided for you. It is the responsibility of the traffic signal controller to keep track of the different phases, to make sure that all get the green time they need, and that no conflicting movements get a green signal at the same time. 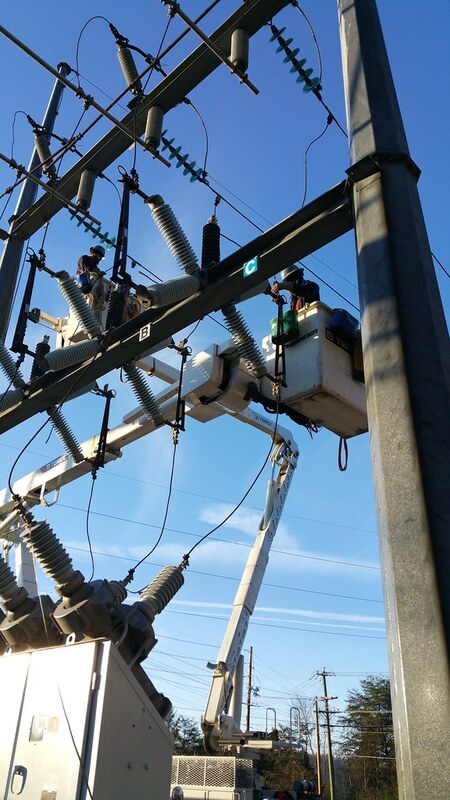 Equipment can break down and programming errors do occur. 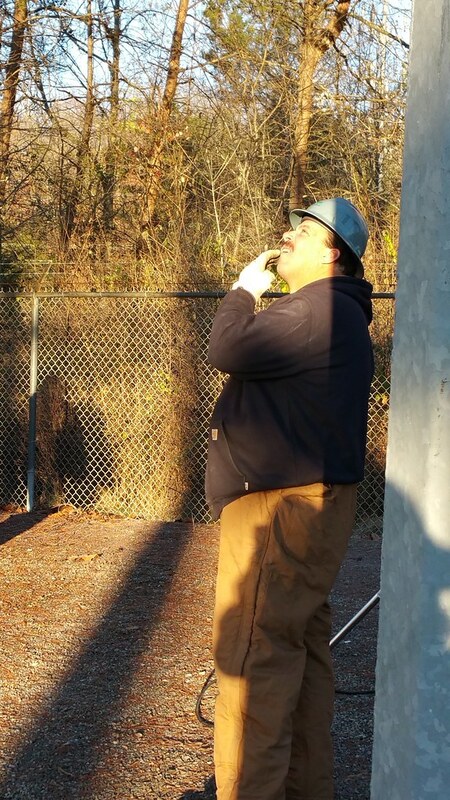 Because of the safety issues involved, signals are equipped with a “conflict monitor.” A conflict monitor is a simple device, completely independent of the controller that watches the signal operate. It does this by monitoring a number of conditions, including the voltage to the individual bulbs in the heads. If a condition occurs which is not normal (for example opposing greens) the conflict monitor detects the condition and shuts down the intersection. Normally, it places the signal on “flash mode.” The main street is given a flashing yellow, to indicate that the situation is not normal and caution is needed. The secondary street is given a flashing red light that should be treated like a stop sign. For safety reasons, the signal will not normally reset itself. 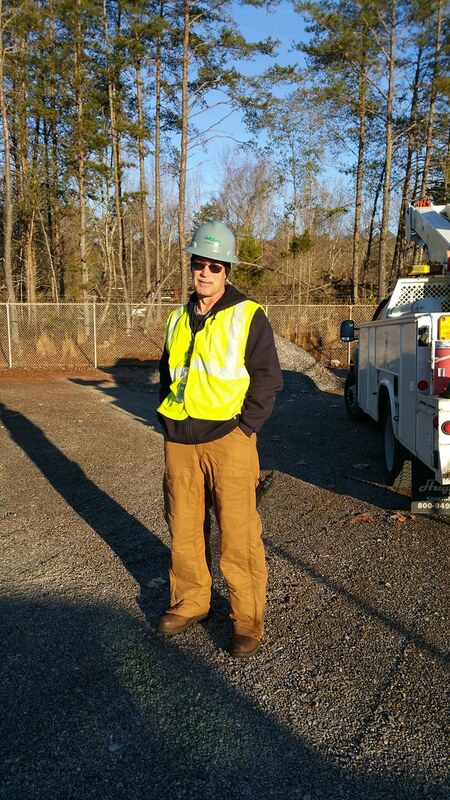 A technician must visit the intersection, determine the problem and reset the controller. Nearly all of the intersections in Oak Ridge use a buried loop in the pavement to detect traffic. These loops create a magnetic field that is disturbed by the magnetic materials in a car passing over it. A special device in the traffic control cabinet monitors the buried loop and reports to the controller when it has been disturbed. To make a loop, a groove is cut into the pavement. A thin wire is placed in the groove, and the groove is filled with a special material. In some intersections, you can see the groove that contains the loop. In other intersections, the loop has been covered by asphalt. Loops took the place of the metal traffic plates that were in use at one time. These devices are seldom, if ever, in use today. They exist in the intersection simply because they are so hard to remove. There are a couple of other devices in use to detect traffic. These are normally used in special circumstances where it would be difficult or impossible to make a loop. The City of Oak Ridge uses microwave detectors in some intersections. These devices resemble a closed circuit TV camera mounted on a pole or signal cross arm. They function similar to police radar, sensing the presence and direction of traffic. It is possible for extremely slow moving vehicles not to be picked up by the devices, although this is seldom a problem. We would not be complete without adding that some movements at some intersections do not have any detection at all. Most commonly, the main street of a main and secondary intersection has no loops. The controller is programmed to always assume there is traffic on the main street, and return green to that movement. Right turn only lanes often do not have detection loops. How do you Coordinate Traffic Signals? Before we begin, we have to understand a concept called Cycle Time. This is very important in coordinated signals. Cycle time is the amount of time from the beginning of a red light to the beginning of the next red light. All of the events at a signal happen inside one cycle. Normal cycle times are somewhere between 80 seconds and 120 seconds for most large roads. The advantage of a short cycle time is that on low traveled streets, the driver does not have to wait a long time for a green light. Unfortunately, it takes time for cars to get going when the light turns green and to reach the traveling speed of the roadway. The advantage of long cycle times is that they are more efficient in moving cars on the main street. If you draw a two axis plot, you will see how signal timing works. On the vertical axis, scale the repetitions of the cycle time. Note that on the attachment, I have settled on a 120 second cycle time. This means that at the end of a cycle, it starts over (at 0). On the horizontal axis, scale the distance from the first intersection to the next intersection, to the next and so on. In my example, I have scattered the intersections at different distances from one another. This needs to be plotted fairly accurately from the first intersection. I have called my cross streets A,B,C,D, etc. The next part depends on your design speed limit. If you know that Intersection A is 2800 feet from the starting point, how long will it take your vehicle to get there? To do this requires a little simple math conversion. 2800 feet / 66ft/sec= 42.2 seconds. OK, plot this point on your graph, and then extend this into a velocity line from the starting point to beyond your area of concern. This is the blue line on the graph. Looking at the graph now, you can see at what time during the cycle each car will arrive at each intersection. All you have to do now is make sure that any particular signal is green when the velocity line crosses it position. For each individual intersection the timing will be different. Each must be based on the cycle time, though. Our example used a one-way street. For a two way street, you repeat the same process for traffic in the other direction, starting from the other end of the section under consideration. Then you try to design green times that fit things as well as possible. Unless you are lucky enough to have good intersection spacing for the speed limit (rare) there will be no perfect fit. Pedestrians also cause issues. A pedestrian takes longer to cross the street than a car. When someone pushes the “ped button,” the cycle time for that particular intersection is changed to allow the person time to cross. There are computer programs that solve for the best fit. Generally, they try different combinations to get the best fit based on the total sum of time spent at red lights. Often times, this is to the detriment of specific approaches or streets. If you use those streets, you will not be happy with what is “best” for the traffic. Why does the signal go to a side street when no one is there? Why doesn’t the City add a left turn light at [name your intersection]? How long should I have to wait for a green light? Why can’t the signals be coordinated? Who do I call if I suspect a problem? Most of the traffic signals in Oak Ridge detect traffic with a buried loop. The loop senses changes in the magnetic field it generates when metallic objects pass through. There are several common reasons why a vehicle is not detected. First, the loops are able to detect only vehicles that pass over the loops. If you are having trouble with a particular signal, be sure that you are stopping with the front of your car at the stop bar. It is often easy to pull forward too far and out of the loop. Second, some vehicles (particularly bicycles) do not have enough mass to trigger the loops. This is unfortunate, but present technology utilized in the City does not sense bicycles. Third, the loop may be defective. If you suspect that a loop is not functioning, call the Department and we will have it checked. The most common reason that a signal goes to a side street when there is no one waiting is that a car has made a “right turn on red.” Most signals in the City can detect that the vehicle has turned and will not go to the side street in these conditions. If the signal begins to change to the side street, however, the process must be completed. If a detection loop has failed, the signal must be set to go to the side street every cycle. If this were not done, the cars entering from the side street would never get a green light. This is a short-term problem that is normally corrected in a few days. Why doesn’t the city add a left turn lane at [name your intersection]? Traffic signals must be programmed to divide a certain length of time (called the cycle length) among all of the active phases at the intersection. If a phase, such as a left turn arrow, is added, one of two things must happen. First, the cycle length can be extended. Unfortunately, this means that vehicles must wait longer between green lights. As an example, consider that a simple intersection can have a cycle length as little as 82 seconds, while complex intersections have a cycle length of over two minutes. Second, the length of each movement can be shortened. This limits the number of vehicles that can pass through the intersection per cycle. 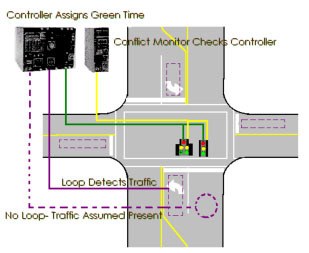 Traffic engineers examine these factors when designing a traffic signal. The ultimate goal is to send as many vehicles through the intersection as possible in a given amount of time. In evaluating left turn signals, they must consider the number of cars making left turns, the amount of on-coming traffic and other factors. Only when all of these factors point to a common solution can a left turn signal be added. 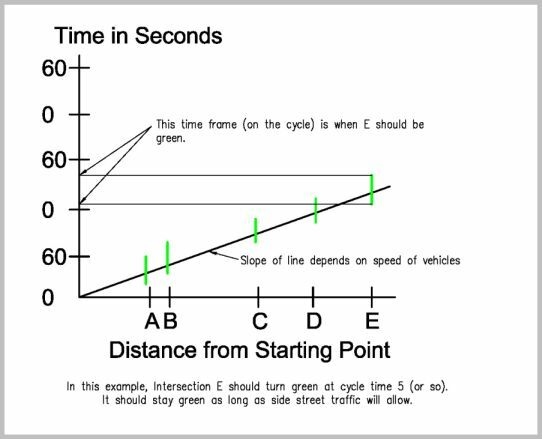 The amount of time you have to wait for a green depends on the cycle time of the intersection. This can be as little as 42 seconds, for simple intersections, to over two minutes for complex intersections with heavy traffic. Two minutes is a long time to wait at an intersection. If the time exceeds this by much, many drivers will assume that the signal is “stuck” and ignore it. Traffic signals in Oak Ridge actually are coordinated. There are two computer controlled systems that time the signals on the Oak Ridge Turnpike and Illinois Avenue. The problem, simply stated, is that these streets cannot be perfectly timed. Designing coordination for a one way street is quite simple. One simply looks at how long it will take a vehicle to travel from one intersection to the next, and times the greens so that they occur at the proper time. With two way streets, the problem becomes more complex. Timing must be designed so those vehicles traveling in both directions arrive at the intersections at the same time. When one considers traffic from the side streets, and that the intersections are not uniformly spaced, it becomes clear that there are no perfect solutions. Traffic engineers examine these circumstances very carefully and attempt to design “best-fit” timing. In Oak Ridge, under normal conditions, you may have to stop for two signals on the Oak Ridge Turnpike. If you enter from a side street, there may be more delays as your assimilated into the “platoon” of cars traveling down the roadway as a group. 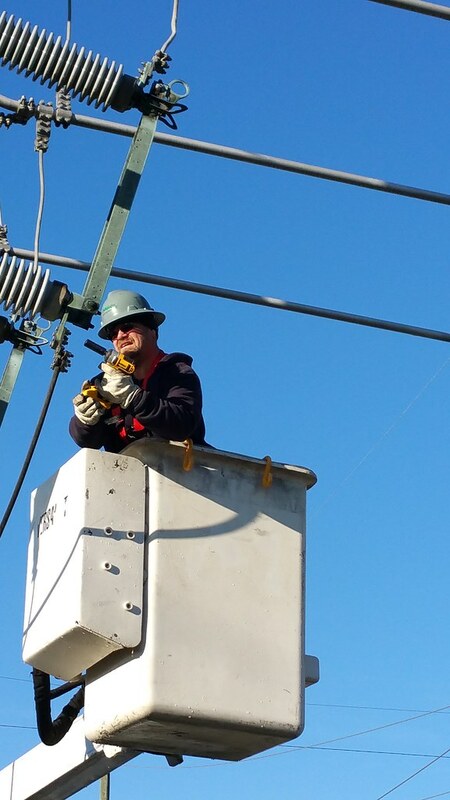 The Electric Department of the City of Oak Ridge maintains signals in the City. To report a problem, call our office at 425-1803.